You might be wondering why this is nerdy news. Well, it really isn't, but I saw it on CNN and it reminded me of "Vincent and the Doctor," my absolute favorite Doctor Who episode. 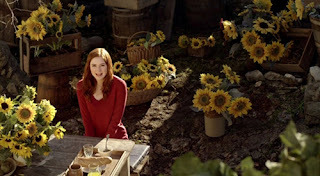 It's the perfect Doctor Who episode--time travel, the Doctor using crazy devices, some great action scenes, Amy Pond being ultra flirty, a great historical character (Tony Curran plays a fabulous Vincent van Gogh), a misundertsood alien, and an ending that will bring tears to your eyes. Seriously, like the last 15 minutes of Return of the Jedi and the first 15 minutes of Up!, "Vincent and the Doctor" always makes me cry. 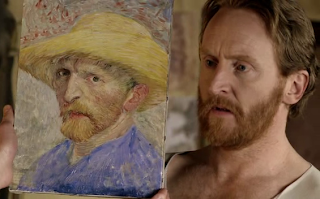 Anyways, take a look at the newly discovered van Gogh painting here.